Broken links or 404 errors can really hamper the user experience. Have you ever been to a website and clicked a link that didn’t work, saw X’s over missing images, or a video that wasn’t valid any longer? I don’t know about you, but if I’m shopping for professional services or products, that’s a major turn-off. change a page URL’s without creating proper 301 redirects, delete a page, or just simply used the wrong URL in the hyperlink. Yes, it happens to the best of us. 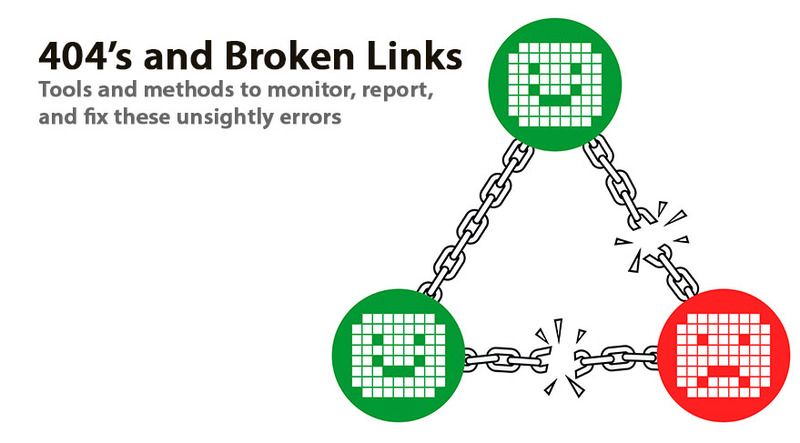 That’s why I utilize several methods to ensure broken links are reported ASAP and corrected. Once a broken link is found, I either create a 301 redirect to the right page or revise the content on the offending pages. thinks of your website. The “Crawl Errors” report will show detailed URL errors segmented by desktop and smartphone devices. When you click one an item, it will show you the exact URL and which page(s) the link was found. Once a page is fixed, you can escalate the reindexing speed by going to “Fetch as Google”, adding the URL, clicking FETCH, and then clicking the “SUBMIT TO INDEX” button. NOTE: You will eventually find weird URLs that do not exist on your site in this report. It is most likely caused by bots so they can be ignored or just click the “MARK AS FIXED” button. It will highlight every link on the current page either GREEN for valid or RED for invalid. I use this WordPress plugin on most projects. 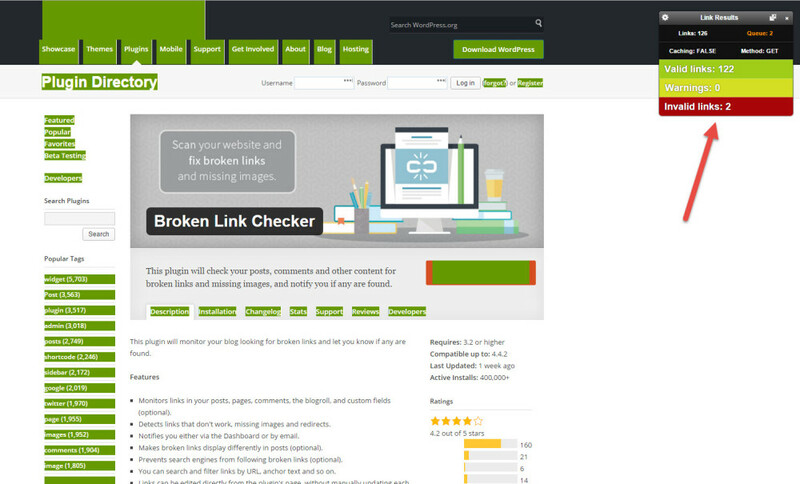 It will automatically monitor and send reports about your WordPress site’s broken links. It’s free but donate if you can! What I really like is that it will not only monitor anchor text links, but also tracks youtube video embeds, images, and also content “hot linked” from other sources. You can view the list of links and immediately edit the URLor unlink it. This saves me tons of time. I know that there are countless other methods that are more advanced such as Screaming Frog SEO Spider, but this small list can be used by beginners to advanced webmasters. Do you have a tool that you consider the BEST? Let me know below in the comments.